Mark Your Calendars; Get Ready to Rodeo! 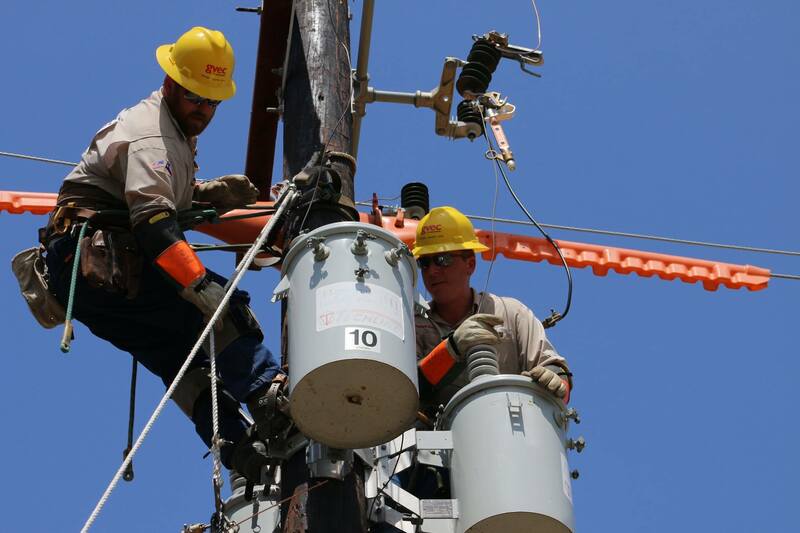 Have you ever been to the Texas Lineman’s at Nolte Island in Seguin? If not, mark your calendars for next year because it is an event you don’t want to miss! 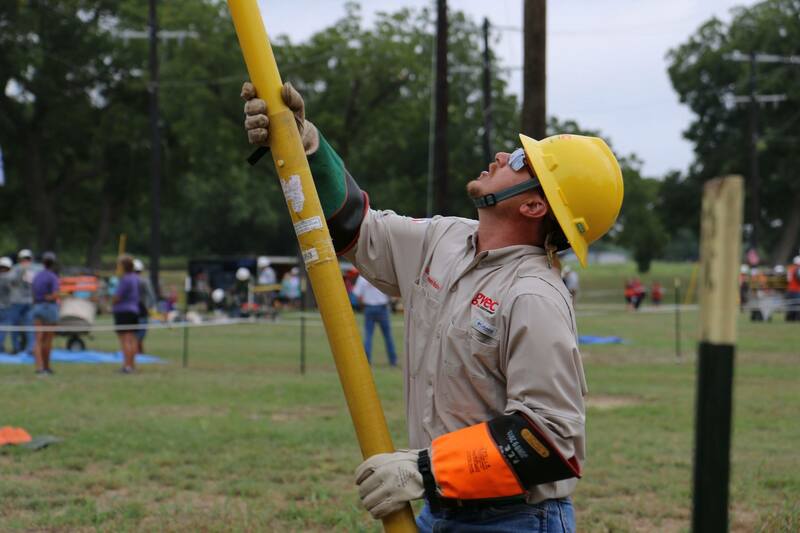 The Texas Lineman’s Rodeo Association (TLRA) created this event to allow Texas linemen to showcase their high-voltage line work skills to their families and friends in a fun, competitive way. 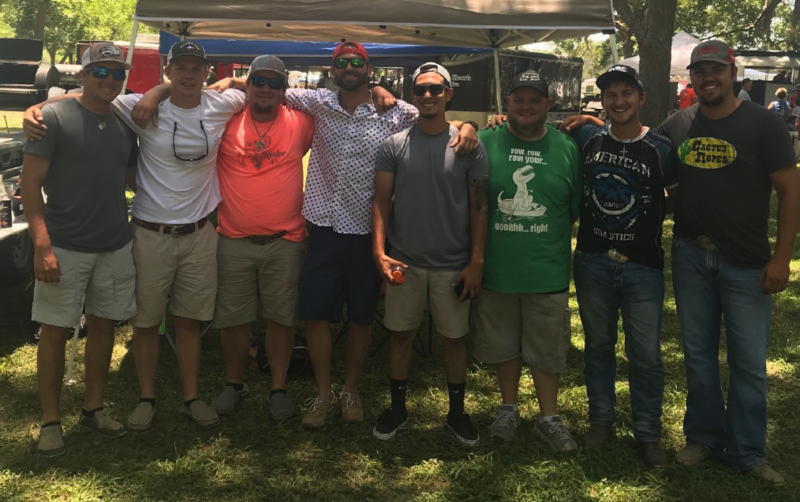 Our GVEC journeymen and apprentice linemen competed in the 2018 Texas Lineman’s Rodeo on July 12, when temperatures for the day peaked at 102 degrees—but didn’t stop the GVEC team from giving it their all! It’s a Saturday morning at the crack of dawn in July; you roll out of bed and head to the competition. You’re driving in the dark and are following the many cars headed to the same place; soon enough, you make it to Nolte Island, Seguin, TX! As you drive onto the premises, you see a huge sign wishing all the competing linemen good luck. Next, you reach the bridge to the competition grounds and drive across. You’ve just crossed onto the island! That’s when you get a whiff of barbecue. You drive past the BBQ competition and see a line of campers and RVs to your left. Once you pass these, you park your car in a huge field with hundreds of others. When you see the cluster of flags and bucket trucks, you know you’ve made it to the right place! This is when the excitement kicks in. As a first-time attendee, there’s a lot to take in! Once you enter the competition grounds, the first thing you see are tents everywhere! 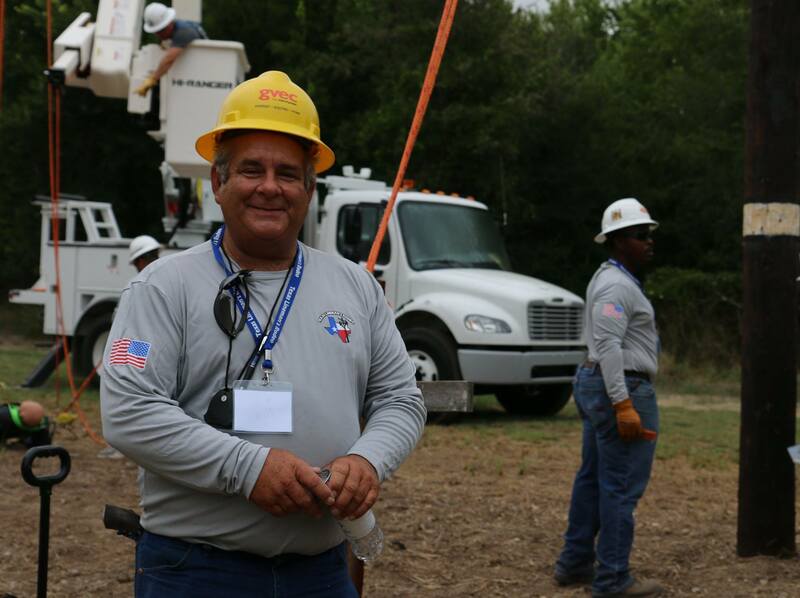 Linemen, volunteers, judges, families and everyone in-between are roaming around. Music is playing, courtesy of DJ Jammin Joe. You can feel the hyped-up energy! Golf carts are driving by. Everyone is carrying coffee and breakfast tacos, getting ready to cheer on their linemen. Before the competition officially begins, we all head to the entrance for the opening ceremony. At 6:30 a.m. sharp, the opening ceremony begins. It starts with an invocation and then the national anthem is performed in front of a display of co-op flags that are held up by bucket trucks. The opening ceremony is then wrapped up with rodeo instructions and the games begin! Once the opening ceremony concludes, the linemen race off to their many competitions. All the fans grab their chairs to claim a shady spot to root for their lineman! The competitions start at around 7 a.m. and usually ends at about noon. 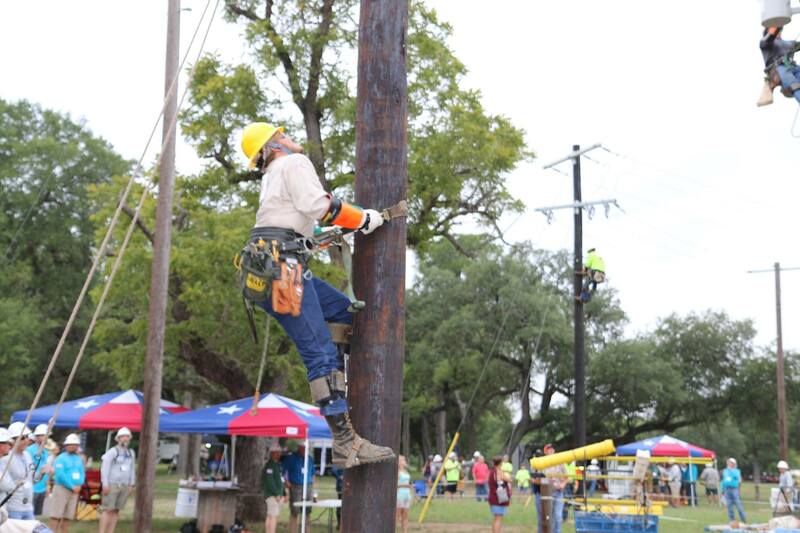 Fun fact: Both journeymen and apprentice linemen participate in similar events; however, only journeymen participate in team events, while apprentice linemen participate in the individual events, along with a written test. 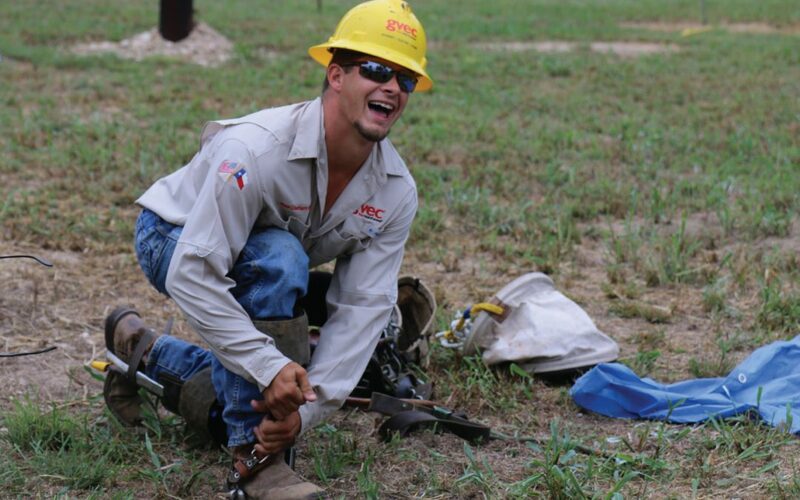 The linemen aren’t the only ones who get to have all the fun. 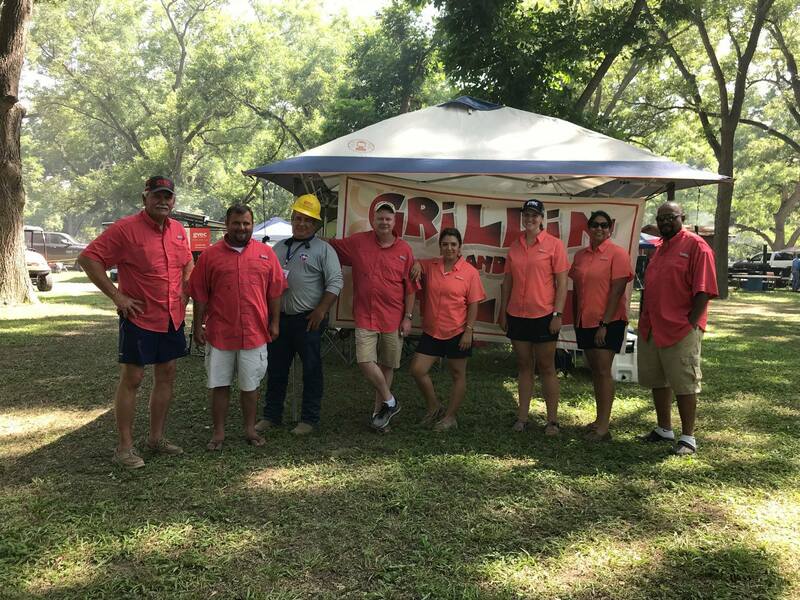 There is a competition for barbecue teams as well. 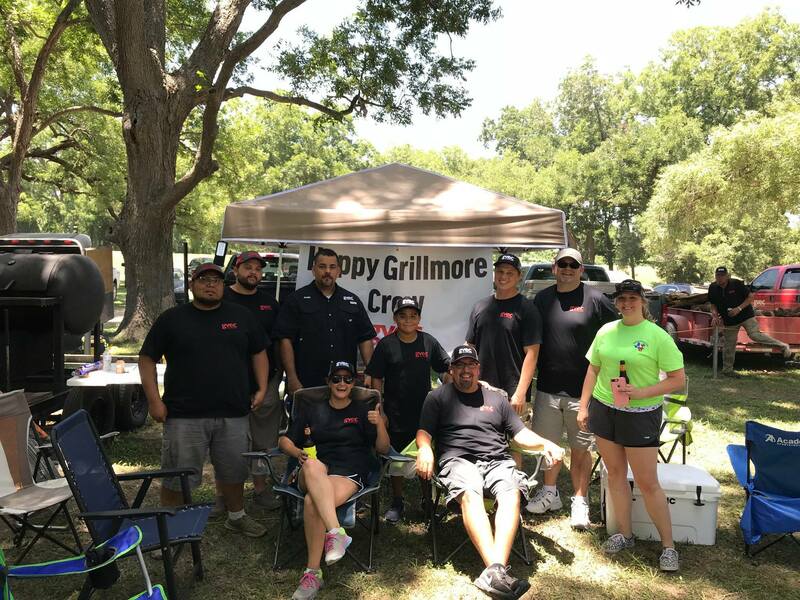 Starting the night before the competition, dozens of cook teams spend the day grillin’ and chillin’. 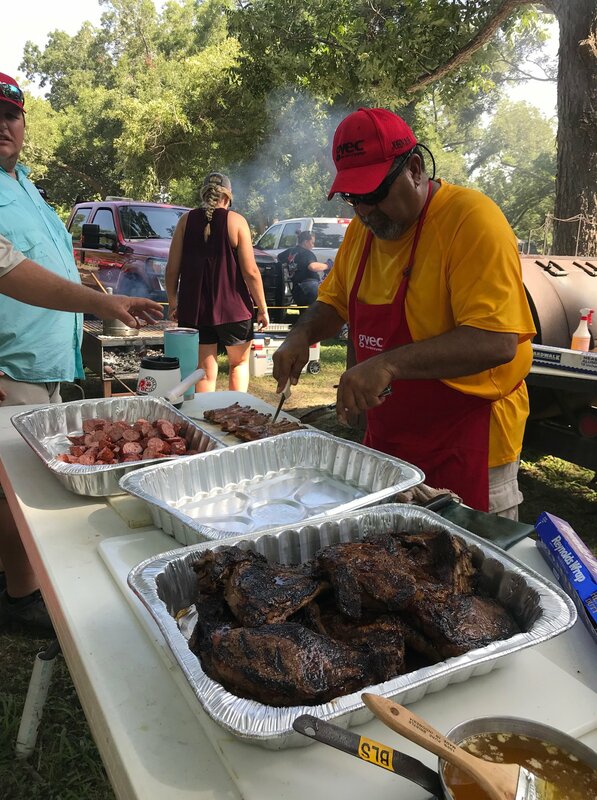 When lunch time hits and the linemen are finishing up their events, everyone starts heading over to the cook-off area for some grub! 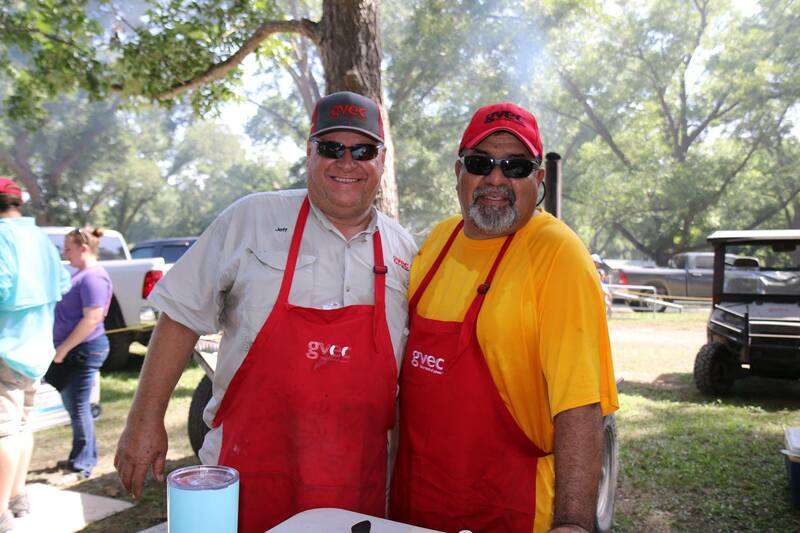 It’s the perfect place to cool off from the blazing Texas heat and enjoy some good food and great company. 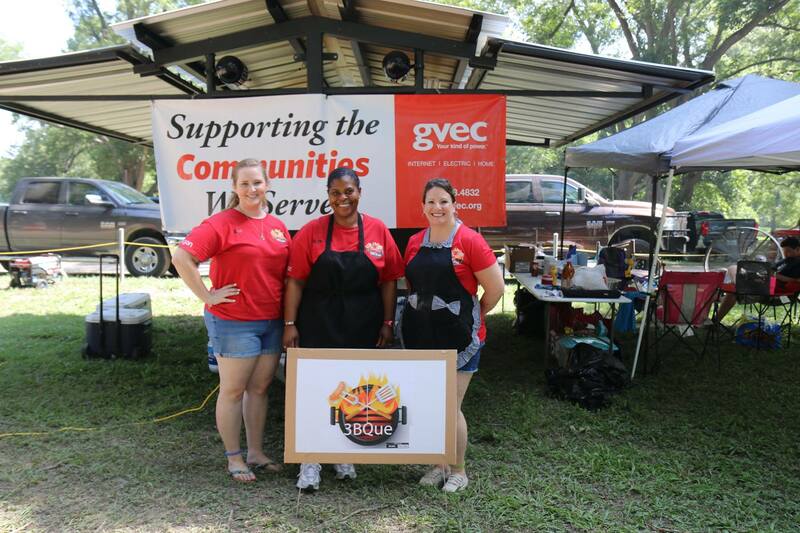 GVEC alone had 6 cook teams compete this year! When lunch is over, the judges begin tallying the scores while everyone else enjoys some downtime before dinner and the award ceremony in the evening. After chowing down on more barbecue, everyone gathers to the pavilion for the awards ceremony. This is where the judges announce the journeymen, apprentice linemen and cook team results. A big stage is set up with a back drop for the perfect photo op for the winners. People with cameras are everywhere waiting to get some good shots. Linemen and their families celebrate victories and admire hard-earned trophies. 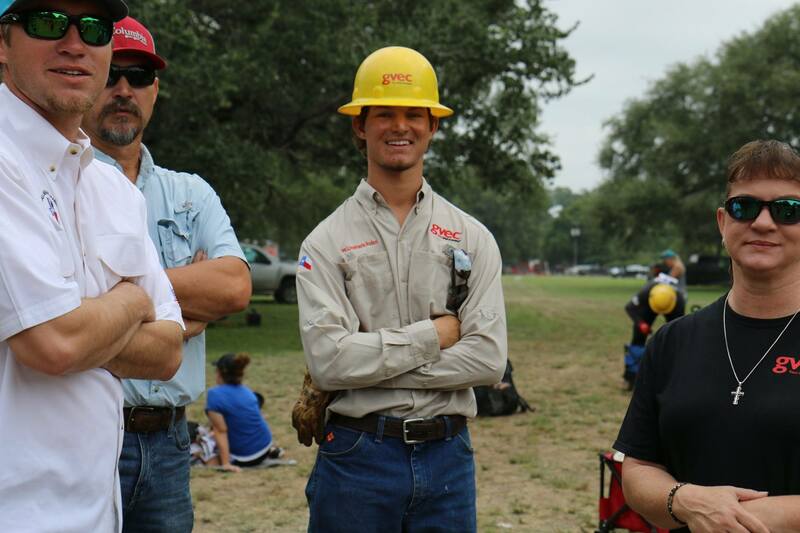 After all the awards are announced, the Texas Lineman’s Rodeo is officially over. 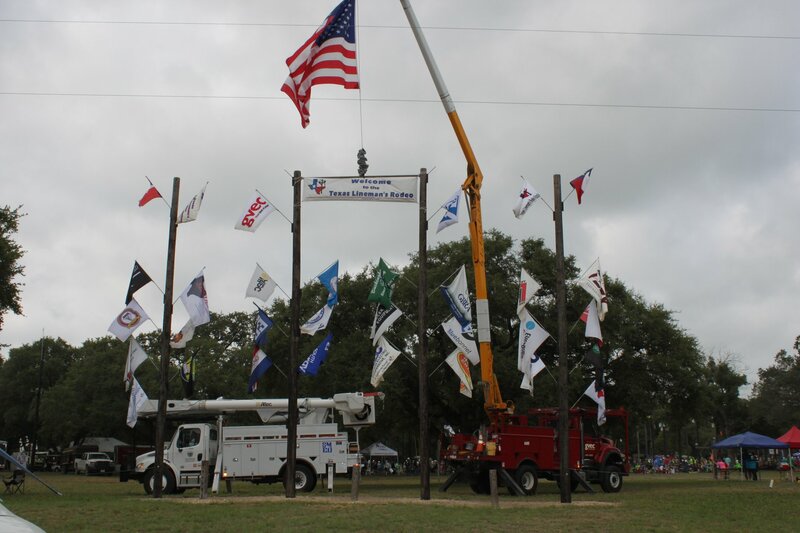 As GVEC has competed in the Texas Lineman’s Rodeo over the years, we’ve learned that some years are better than others regarding placement of the participants. The most important thing, though, is that we’re always proud of our GVEC teams and volunteers! 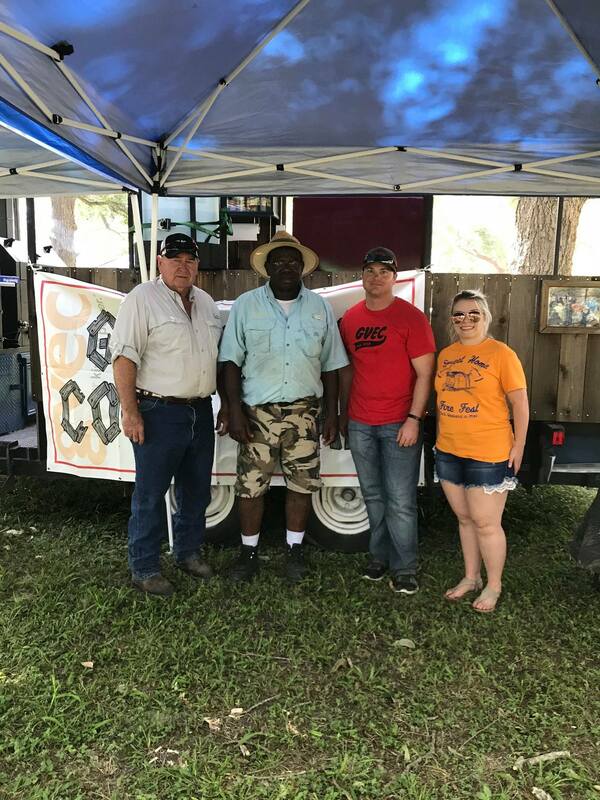 They helped make the 2018 TLRA Rodeo a great success—thank you to everyone who represented GVEC! 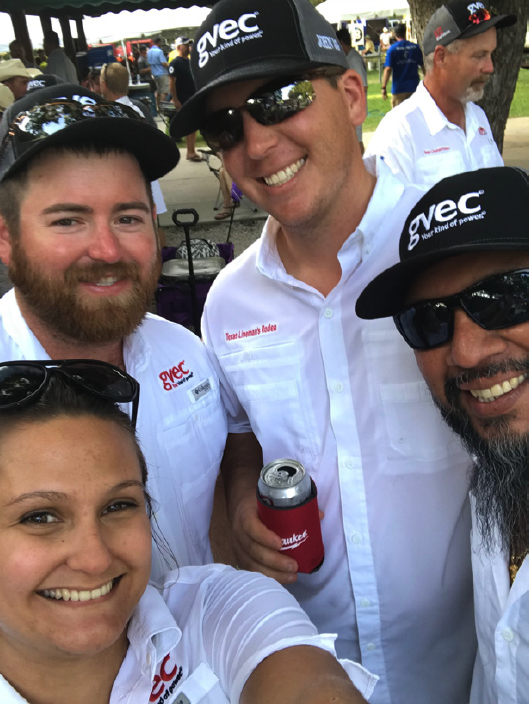 From our journeymen and apprentice linemen to our cook teams, every GVEC competitor represented us with passion, professionalism and true Cooperative spirit. 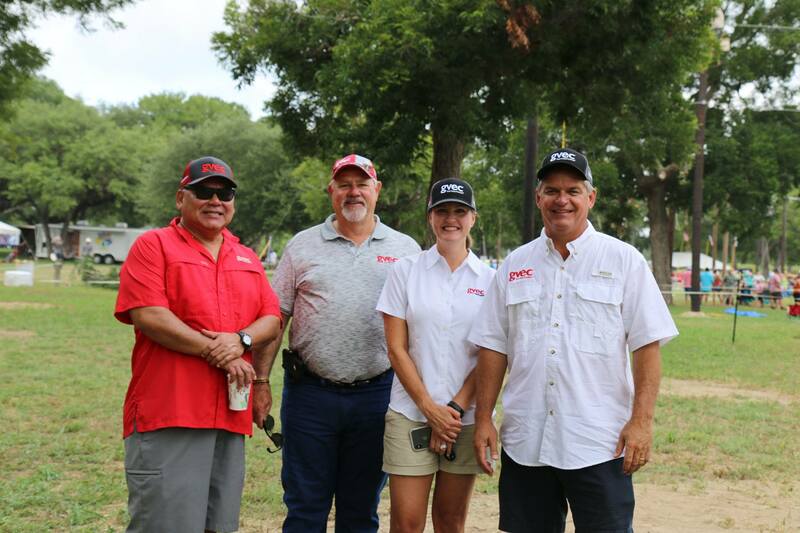 The triple digit temperatures didn’t stop the GVEC family from coming together to compete and represent Cooperative values on a Texas-sized stage! 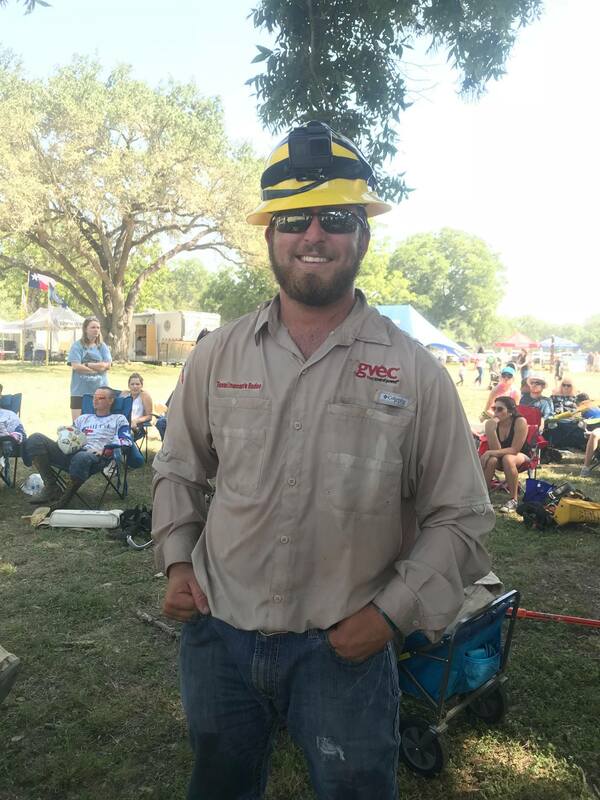 Now that you know what the rodeo is all about, we hope to see you among the newcomers at next year at the 2019 Texas Lineman’s Rodeo!